Abstract: This study aims to investigate the effects of rib configuration on cooling gas turbine blades. Three-dimensional ribbed square-channel of gas turbine blades are simulated with the Reynolds averaged Navier-Stokes equations. Air flow in periodical transverse and 45o inclined rib arrays, mounted in inline and staggered arrangements on the lower and upper walls of the channel. The governing equations are discretized by the second order upwind differencing scheme, decoupling with the SIMPLE algorithm. The turbulence effect is modeled with the RNG k-ε model. The present numerical results show excellent agreement with published experimental data. The presented results are streamtraces, velocities, local and area-averaged Nusselt numbers over ribbed walls for the Reynolds numbers ranging from 2104 to 4104..
Keywords: heat transfer, numerical simulation, ribbed channel, turbine blade. 1. Han, J.C., Dutta, S., and Ekkad, S., 2000. Gas Turbine Heat Transfer and Cooling Technology, Taylor and Francis, New York. 2. Bagabir A., Khamaj J. A. and Hassan A. S., 2013. Turbulent periodic flow and heat transfer in a square channel with different ribs. Journal of Applied Mathematics and Physics, Vol. 1, No. 6, pp. 65-73. 3. Khamaj, J., 2002. An experimental study of heat transfer in the cooling channels of gas turbine rotor blades. PhD Thesis, University Wales, UK. 4. Manca, O., Nardini, S. and Ricci, D., 2011. Numerical study of air forced convection in a channel provided with inclined ribs, Frontiers in Heat and Mass Transfer, Vol. 2. 5. Han J.C., Zhang Y.M., Lee C.P., 1991. Augmented heat transfer in square channels with parallel, crossed and V-shaped angled ribs. ASME, Journal of Heat Transfer, Vol 113, pp. 590–596. 6. Promvonge P., Changcharoen W., Kwankaomeng S. and Thianpong C., 2011. Numerical heat transfer study of turbulent square-duct flow through inline V-shaped discrete ribs. 7. International Communications in Heat and Mass Transfer, Vol 38, pp. 1392–1399. 8. Kamali R. and Binesh A.R., 2008. The importance of rib shape effects on the local heat transfer and flow friction characteristics of square ducts with ribbed internal surfaces. International Communications in Heat and Mass Transfer, Vol. 35, pp. 1032–1040. 9. Tanda, G., 2011. Effect of rib spacing on heat transfer and friction in a rectangular channel with 45 angled rib turbulators on one/two walls. Int. J. Heat Mass Transfer, Vol. 54, pp. 1081–1090. 10. Wu, H.-W., and Lau, C.-T., 2005. Unsteady turbulent heat transfer of mixed convection in a reciprocating circular ribbed channel. International Journal of Heat and Mass Transfer, Vol. 48, pp. 2708–2721. 11. Dutta, S., Han, J.-C., and Lee, C.P., 1996. Local heat transfer in a rotating two-pass ribbed triangular duct with two model orientations. Int. J. Heat Mass Transfer, Vol. 39, pp. 707–715. 12. Chang, S.W. and Gao, J.Y. 2014. Heat transfer enhancement by skewed wavy sidewall for two-pass ribbed channels with different aspect ratios. International Journal of Heat and Mass Transfer, Vol. 73, pp. 217–230. 13. Lawson, S.A., Thrift, A.A., Thole, K.A. and Kohli, A., 2011. Heat transfer from multiple row arrays of low aspect ratio pin fins. Int. J. Heat Mass Transfer, Vol. 54, pp. 4099–4109. 14. Promvonge, P., Chompookham, T., Kwankaomeng, S., and Hianpong C., 2010. Enhanced heat transfer in a triangular ribbed channel with longitudinal vortex generators. Energy Conversion and Management, Vol. 51, pp. 1242–1249. 15. Moon, M-A, Park, M-J, and Kim, K-Y, 2014. Evaluation of heat transfer performances of various rib shapes. International Journal of Heat and Mass Transfer, Vol. 71, pp. 275–284. 16. Wright, L.M., Fu, W.-L. and Han, J.C., 2004. Thermal performance of angled, V-shaped, and w-shaped rib turbulators in rotating rectangular cooling channels AR4:1. ASME J. Heat Transfer, Vol. 126, pp. 604–614. 17. Sampath A. R. Effect of rib turbulators on heat transfer performance in stationary ribbed channels, PhD Thesis, Cleveland State University, USA 2009. 18. Jenkins, S.C., Zehnder, F., Shevchuk, I.V., Wolfersdorf, J., Weigand, B., and Schnieder, M., 2012. The effects of ribs and tip wall distance on heat transfer for a varying aspect ratio two-pass ribbed internal cooling channel. ASME J. Turbomach., Vol. 135. 19. Liu H. and Wang J. 2011. Numerical investigation on synthetical performances of fluid flow and heat transfer of semiattached rib-channels. International Journal of Heat and Mass Transfer, Vol. 54, pp. 575–583. 20. Ahn, J. and Lee J. S., 2010. Large eddy simulation of flow and heat transfer in a channel with a detached rib array. International Journal of Heat and Mass Transfer, Vol. 53, pp. 445–452. 21. Promvonge, P., Sripattanapipat, S. and Kwankaomeng, S., 2010. Laminar periodic flow and heat transfer in square channel with 45o inline baffles on two opposite walls. International Journal of Thermal Sciences, Vol. 49, pp. 963-975. 22. Yakhot V. and Orszag, S. A., 1986. Renormalization Group Analysis of Turbulence: I. Basic Theory. Journal of Scientific Computing. Vol. 1, No. 1, pp. 1–51. 23. Hirsh, C., 1989. Numerical Computation of Internal and External Flow. Wiley-Interscience, Series in Numerical Methods in Engineering Vol. 1-2. 24. Ferziger, J. H. and Peric, M., 1997. Computational Methods for Fluid Dynamics. Springer 1997. Abstract: In this paper a color segmentation based resolution enhancement of depth image is proposed. The resolution enhancement technique is combined with depth image based rendering (DIBR) method to generate stereo images. The major problem in transmission of stereo images is bandwidth. By using DIBR the transmission efficiency can be increased. Also if we are using low resolution depth map for transmission, the bandwidth for transmission can be further reduced. A color segmentation based interpolation procedure is used to enhance the resolution of the depth map. This depth resolution enhancement method sharpens depth image using the color information from the high resolution color image. From this resolution enhanced depth image the stereoscopic images are synthesized using DIBR method. For more textured region, we are using an edge-guided image interpolation algorithm to enhance the performance of the color segmentation based interpolation algorithm. 1. K. Gomi, Y. Nishino, K. Tai, M. Yasuda, and N. Tetsutani, “Stereoscopic video transmission and presentation system for ISDN,” IEEE Transactions on Consumer Electronics, vol. 36, no. 3, pp. 759–766, 1990. 2. J.Flack, P.V.Harman, and S.Fox,“Low-bandwidth stereoscopic image encoding and transmission,” in Proceedings of SPIE Conference on Stereoscopic Displays and Virtual Reality Systems X, 2003, vol.5006,pp. 206–214. 4. C. Fehn, “Depth-image-based rendering (DIBR), compression, and transmission for a new approach on 3D-TV,” in Proceedings of SPIE, 2004, vol. 5291, p. 93. 5. Q. Wei, “Converting 2D to 3D: A survey,” in International Conference on Information and Communication Theory, 2005, vol. 7, p. 14. 6. H. Hou and H. Andrews, “Cubic splines for image interpolation and digital filtering,” IEEE Transactions on Acoustics, Speech and Signal Processing, vol. 26, no. 6, pp. 508–517, 1978. 7. Q.H. Nguyen, M.N. Do, and S.J. Patel, “Depth image-based rendering with low resolution depth,” in 16th IEEE International Conference on Image Processing (ICIP), 2009, 2009, pp. 553–556. 8. L. Zhang and X. Wu, “An edge-guided image interpolation algorithm via directional filtering and data fusion,” IEEE Transactions on Image Processing, vol. 15, no. 8, pp. 2226–2238, 2006. 9. L. Zhang and W.J.Tam, “Stereoscopic image generation based on depth images for 3D TV,” IEEE Transactions on Broadcasting, vol. 51, no. 2, pp. 191–199, 2005. 10. W.Y. Chen, Y.L. Chang, S.F. Lin, L.F. Ding, and L.G. Chen, “Efficient depth image based rendering with edge dependent depth filter and interpolation,” in IEEE International Conference on Multimedia and Expo, 2005. ICME 2005., 2005, pp. 1314–1317. 11. M. Schmeing and X. Jiang, “Time-consistency of disocclusion filling algorithms in depth image based rendering,” in 3DTV Conference: The True Vision-Capture, Transmission and Display of 3D Video (3DTV-CON), 2011. IEEE, 2011, pp. 1–4. 12. F. Malgouyres and F. Guichard, “Edge direction preserving image zooming: a mathematical and numerical analysis,” SIAM Journal on Numerical Analysis, pp. 1– 37, 2002. 13. D. Comaniciu and P. Meer, “Mean shift: A robust approach toward feature space analysis,” IEEE Transactions on Pattern Analysis and Machine Intelligence, vol. 24, no. 5, pp. 603–619, 2002. 15. D. Scharstein and C. Pal, “Learning conditional random fields for stereo,” in IEEE Conference on Computer Vision and Pattern Recognition, 2007. CVPR’07., 2007, pp. 1–8. 16. H. Hirschmuller and D. Scharstein, “Evaluation of cost functions for stereo matching,” in IEEE Conference on Computer Vision and Pattern Recognition, 2007. CVPR’07., 2007, pp. 1–8. Abstract: Sickle cell anemia (SCA) is a heritable blood disorder which is caused by lack of red blood cells in the blood. In sickle cell anemia, red blood cell shape is changed to sickle shape or half-moon shape, which blocks the flow of blood in small blood vessels in the body. In this disease the characteristics of red blood cell will change and they become sticky and bind together. In some cases it elongates and becomes elliptical in shape. In this paper a brief pictorial review of sickle cell anemia is presented to attract the attention among researchers to work with a common goal for the elimination of this disease from this world. We have collected few SCA affected blood images and an effort is made for the analysis of these images. An algorithm is proposed to detect the presence of SCA. Keywords: Computer processing of Red blood corpuscles, Image processing of blood cells, Cell image analysis, Sickle cell anemia. 1. Shashi Bala, Amit Doegar, “Automatic detection of sickle cell in red blood cell using watershed segmentation” International Journal of Advanced Research in Computer and Communication Engineering, Vol-4, Issue-6, June 2015, pp488-491. 2. Menika Sahu, Amit kumar Biswas, K.Uma, “Detection of sickle cell anemia in Red blood cell: A review” International Journal of Engineering and Applied Sciences, Vol-2, Issue-3, March 2015, pp45-48. 3. Kriti Bhowmik, Pranatic Rakshit, “Detection of abnormal findings in human RBC in diagnosing sickle cell anemia using image processing”, International Conference on Computational Intelligence: Modelling technique and Application, 2013, pp28-36. 4. Athira sreekumar, Ashok Bhattachariya, “Identification of Sickle Cells from Microscopic Blood Smear Image using Image Processing” International Journal of Emerging Trends in Science and Technology, Vol-1, July 2014,pp783-787. 5. Pranati Rakshit, Kriti Bhowmik,” Detection of abnormal findings in human RBC in diagnosing G’6PD deficiency huemolxtic anemia using image processing” IEEE 1st International Conf. on Condition AssessmentTechniques in Electrical systems, CATCON 2013, pp 297- 302. 6. H.Inaba,M.Greaves and C.Mullighan “Acute Lymphoblastic Lukemia” Lancet,vol-381, No-381, June 2013, pp1943-1955. processing” Biol, procedures on line, Vol-11, no-1, pp 196-206, June 2009. 8. H.Ramoser, V.Laurain, H.Bischof and R.Ecker, “Leukocyte segmentation and classification in blood smear images”, in proc.IEEE EMBS 2006, pp 3371-3374. 9. Sos Agaian,Monica Madhukar, Anthony, T.Chronopoulos, “Automatic screening for acute leukemia detection in blood microscopic images, IEE systems journal, Vol8,no-3,PP 995-1003 September 2014. 10. S.Mohapatra, D.Patra, “Automated lukemia detection using hausdorff dimension in blood microscopic images”’ in proc of.Int.Conf. on Emerg. Trend Robot communi.Technology.2010, PP 64-68. Abstract: An adaptive finite element interactive program has been developed for fatigue crack propagation simulation under constant amplitude loading condition. The purpose of this model is on the determination of 2D crack paths and surfaces as well as on the evaluation of components Lifetimes as a part of the damage tolerant assessment. As part of a linear elastic fracture mechanics analysis, the determination of the stress intensity factor distribution is a crucial point. The fatigue crack direction and the corresponding stress-intensity factors are estimated at each small crack increment by employing the J-integral technique. The propagation is modeled by successive linear extensions, which are determined by the stress intensity factors under linear elastic fracture mechanics assumption. The stress intensity factors range history has to be recorded along the small crack increments. Upon completion of the stress intensity factors range history recording, fatigue crack propagation life of the examined specimen is predicted. Verification of the predicted fatigue life is validated with relevant experimental data and numerical results obtained by other researchers. The comparisons show that this model is capable of demonstrating the fatigue life prediction results as well as the fatigue crack path satisfactorily. 1. Alshoaibi M. Abdulnaser, 2010. Finite Element Procedures for the Numerical Simulation of Fatigue Crack Propagation under Mixed Mode Loading. Structural Engineering and Mechanics. Vol. 35, No.3, pp.283-299. 2. Atluri, S.N., 1982. Path-independent integrals in finite elasticity and inelasticity, with body forces, inertia, and arbitrary crack-face conditions”, Engineering Fracture. Mechanics, 16, pp.341-364. 3. Belytschko T, Gu L, Lu YY. Fracture and crack growth by element-free Galerkin methods. Model Simul Mater Sci Eng 1994;2:519–34. 4. Bittencourt, T.N., P.A. Wawrzynek, A.R. Ingraffea and J.L. Sousa, 1996. Quasi-automatic simulation of crack propagation for 2D LEFM problems. Engineering Fractrue Mechanics, Volume 55, pp. 321-334. 6. Duflot, M. and Dang, H.N. A meshless method with enriched weight functions for fatigue crack growth. Int J Numer Methods Eng 2004;59:1945–61. 7. Duflot, M., Dang, H.N. Fatigue crack growth analysis by an enriched meshless method. J Comput Appl Math 2004;168:155–64. 8. Erdogan, F. and G. Sih, 1963. On the crack extension in plates under plane loading and transverse shear. Journal of Basic Engineering 85: 519–27. 9. Erdogan, F. and G. Sih, 1963. On the crack extension in plates under plane loading and transverse shear. Journal of Basic Engineering 85: 519–27. 10. Portela A, Aliabadi M, Rooke D. The dual boundary element method: effective implementation for crack problem. Int J Numer Methods Eng,1991;33:1269–87. 11. Rice, J.R., 1968. A path independent integral and the approximate analysis of strain concentration by notches and cracks”, J. App. Mech., 35, pp.379-386. 13. Yan AM, Nguyen-Dang H. Multiple-cracked fatigue crack growth by BEM. Comput Mech 1995;16:273–80. 14. Yan, X. A boundary element modeling of fatigue crack growth in a plane elastic plate. Mech Res Commun 2006;33:470–81. 15. Yung-Li Lee, Y.L, Pan, J., Hathaway, R. Barkey, M.E., 2005. Fatigue testing analysis theory and practice, Elsevier Butterworth–Heinemann. Abstract: This paper studies and presents the effect of different hard fusion schemes applied to a cooperative cognitive radio system. The fading channel considered is the Nakagami-m channel. The hard fusion rules are the OR rule, AND rule and the majority fusion rule. Receiver Operating Characteristic (ROC) curves for cooperative sensing using the abovementioned fusion rules are plotted. The simulation results show that the OR fusion scheme gives superior performance compared to other fusion schemes. The paper also studies the effect of different number of co-operating users. 1. Federal Communications Commission, “Spectrum Policy Task Force,”Rep. ET Docket no. 02-135, Nov. 2002. 2. F. F. Digham, M. S. Alouini, and M. K. Simon ”On the energy detection ofunknown signals over fading channels,” Proceedings of IEEE, pp. 3575-3579,May 2003. 3. G. Ganesan and Y. Li, “Cooperative spectrum sensing in cognitive radio, part I: Two user networks,” IEEE Transactions on Wireless Communications, vol. 6, no. 6, pp. 2204–2213, June 2007. 4. G. Ganesan and Y. Li, “Cooperative spectrum sensing in cognitive radio, part II: Multiuser networks,” IEEE Transactions on WirelessCommunications, vol. 6, no. 6, pp. 2214–2222, June 2007. 5. J. N. Laneman, D. N. C. Tse, and G. W. Wornell, “Cooperative diversity in wireless networks: Efficient protocols and outage behavior,” IEEETransactions on Information Theory, vol. 50, no. 12, pp. 3062–3080,Dec. 2004. 6. P. Varshney and C. Burrus, Distributed Detection and DataFusion, New York, NY, USA: Springer-Verlag, 1997. 7. H. Urkowitz, ―Energy detection of unknown deterministic signals,‖ in Proceedings of the IEEE, vol. 55, no. 4, pp. 523–531, 1967. 6. 8. F.F. Digham, M.-S. Alouini, M.K. Simon, On the energy detection of unknown signals over fading channels, IEEE Transactions on Communications 55 (1) (2007) 21-24. 7. 9. J. Ma and Y. Li, "Soft combination and detection for cooperative spectrum sensing in cognitive radio networks," in Proc. IEEE Global Telecomm. Conf., 2007, pp. 3139-3143. 10. N. C. Beaulieu and C. Cheng. An Efficient Procedure for Nakagami-m Fading Simulation. In IEEE Proc. of Globecom2001, volume 6, pages 3336–3342, Nov 2001. 11. K. W. Yip and T. S. Ng. A simulation model for nakagami-m fading channels, m < 1. IEEE Transactions on Communications, 48(2):214–221, Feb 2000. 12. F. F. Digham, M. S. Alouini and M. K. Simon, “On the energy detection of unknown signals over fading channels”, in Proc. of IEEE International Conference on Communications (ICC’03), (2003) May, pp. 3575– 3579..
13. M. Grinstead and J. L. Snell, Introduction to probability. American Mathematical Soc., 1998. 10. J. Ma and Y. Li, ―Soft combination and detection for cooperative spectrum sensing in cognitive radio networks,‖ in Proc. IEEE Global Telecomm. Conf., 2007, pp. 3139–3143. 11. 14. E. Visotski, S. Kuffner and R. Peterson, “On Collaborative Detection of TV Transmissions in Support of Dynamic Spectrum Sharing”, Proceedings of IEEEDySPAN 2005, Nov. 2005. 15. A. Gashemi and E. Sousa, ‘Collaborative Spectrum Sensing for Opportunistic Access in Fading Environments’, Proceedings of IEEE DYSPAN 2005B. Smith, “An approach to graphs of linear forms (Unpublished work style),” unpublished. Abstract: Digital marketing is an umbrella term for the targeted, measurable, and interactive marketing of products or services using digital technologies to reach and convert leads into customers. The key objective is to promote brands, build preference and increase sales through various digital marketing techniques. It is embodied by an extensive selection of service, product and brand marketing tactics, which mainly use the Internet as a core promotional medium, in addition to mobile and traditional TV and radio. 1. Chaffey, D. & Ellis-Chadwick, F., 2012. Digital Marketing: Strategy, Implementation and Practice. 5 ed. Harlow: Pearson Education Ltd.
2. WPPCM 2011, ‘’The Advantages of Pay Per Click Advertising’’ [Online] Available at: http://www.webrageous.com/blog/pay-per-click-advertising-advantages. 3. Alloza, A. (2008), “Brand engagement and brand experience at BBVA, the transformation of a 150 years old company”, Corporate Reputation Review, Vol. 11 No. 4, pp. 371-379. 4. Berger, J. (2013), Contagious: Why Things Catch On, Simon & Schuster, New York, NY. Bowden, J.L.H. (2009), “The process of customer engagement: a conceptual framework”, Journalof Marketing Theory and Practice, Vol. 17 No. 1, pp. 63-74. 5. Bridgen, L. (2011), “Emotional labour and the pursuit of the personal brand: public relations practitioners’ use of social media”, Journal of Media Practice, Vol. 2 No. 1, pp. 61-76. 6. Cheema, A. and Kaikati, A.M. (2010), “The effect of need for uniqueness on word of mouth”,Journal of Marketing Research, Vol. 47, June, pp. 553-563. 7. Chelminski, P. and Coulter, R.A. (2007), “On market mavens and consumer self-confidence:a cross-cultural study”, Psychology & Marketing, Vol. 24 No. 1, pp. 69-91. 8. Chena, Y., Fay, S. and Wang, Q. (2011), “The role of marketing in social media: how online consumer reviews evolve”, Journal of Interactive Marketing, Vol. 25 No. 2, pp. 85-94. 9. Christodoulides, G., Jevons, C. and Bonhomme, J. (2012), “Memo to marketers: quantitative evidence for change how user-generated content really affects brands”, Journal of Advertising Research, Vol. 52 No. 1, pp. 53-64. 10. Court, D., Gordon, J. and Perrey, J. (2012), “Measuring marketing’s worth”, McKinsey Quarterly, Vol. 3, pp. 113-118. Keywords: Vedic multiplier, Wallace tree multiplier, Urdhva Tiryakbhyam, Discrete cosine transform. 1. Ancient Indian Vedic Mathematics based 32-Bit Multiplier Design for High Speed and Low Power Processors, Nishant G. Deshpande, RashmiMahajan, International Journal of Computer Applications (0975 – 8887) Volume 95– No.24, June 2014. 2. Haveliya, Asmita. "A Novel Design for High Speed Multiplier for Digital Signal Processing Applications (Ancient Indian Vedic mathematics approach). 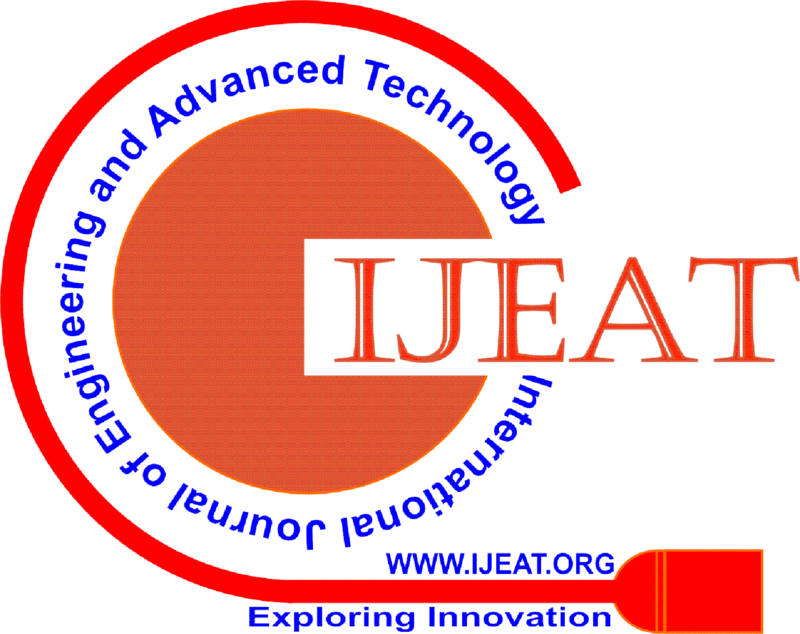 "International Journal of Technology and Engineering System (IJTES) 2, no. 1 (2011): 27-31. 3. Purushottam D. Chidgupkar ,Mangesh T. Karad “The Implementation of Vedic Algorithms in Digital Signal Processing” , Vol.8, 2004. 4. Badal Sharma, “Design and Hardware Implementation of 128-bit Vedic Multiplier” International Journal for Advance Research in Engineering and Technology, Vol.3, 2013. 5. Saha P., A. Banerjee, A. Dandapat, P. Bhattacharyya, “Vedic Mathematics Based 32-Bit Multiplier Design for High Speed Low Power Processors” International Journal on Smart Sensing and Intelligent Systems, Vol. 4, 2011. 6. Kavita, UmeshGoyal “Performance Analysis of Various Vedic Techniques for Multiplication” International Journal of Engineering Trends and Technology, Vol.4, 2013. 7. Sherif T. EID, “VLSI Design and Implementation of Different DCT Architectures for Image Compression”, 1999-2000. 8. N.J.R. Muniraj,N.Senathipathi, “High Speed DCT Design Using Vedic Mathematics”,2011. 9. Badal Sharma, “Design and Hardware Implementation of 128-bit Vedic Multiplier” International Journal for Advance Research in Engineering and Technology, Vol.3, 2013. 10. P. Saha, A. Banerjee, A. Dandapat, P. Bhattacharyya, “Vedic Mathematics Based 32-Bit Multiplier Design for High Speed Low Power Processors” International Journal on Smart Sensing and Intelligent Systems, Vol. 4, 2011. 11. Michael Moeng, Jason Wei, “Optimizing Multipliers for the CPU: A ROM Based Approach” Electrical Engineering and Computer Science University of California: Berkeley. 12. NavpreetSaroya, PrabhpreetKaur, “Analysis of Image Compression Algorithm Using DCT and DWT Transforms”, International Journal of Advanced Research in Computer Science and Software Engineering, Vol.4, 2014. Abstract: The discarded steel reinforcement bars can be either sent to steel plant to be melted and reproduced, or reused as steel reinforcement again. The main sources of the recycled steel bars are the demolished structures, damaged bars or collapsed structures. There is little evidence to trust the use of the recycled steel bars as a replacement of new steel bars. Engineers often question the safety of the structures built with recycled steel bars. In order to address the concern of the engineers, the recycled bars must be evaluated and categorized and eventually given an equivalent new bar label. Additional factor of safety could be used for uncertainty. In this study the recycled steel bars are used as spliced swimmer bars for shear reinforcement in reinforced concrete beams. The used bars in this study are classified as class-A recycled bars. There are several alternatives to the traditional stirrups in reinforced concrete beams. This study focuses on providing other options other than the stirrups. Due to the unsafe mode of shear failure in reinforced concrete beams, designers may find themselves reluctant to use higher factor of safety. Shear failure in reinforced concrete beams is one of the most undesirable modes of failure due to its rapid progression. This sudden type of failure made it necessary to explore more effective ways to design these beams for shear. The cost and safety of shear reinforcement in reinforced concrete beams led to the study of other alternatives. In this study two different types of shear reinforcements are used to study the effect of each type of shear reinforcement on the shear performance of reinforced concrete beams. The first type is reinforced by traditional stirrups, while the other type is reinforced by spliced swimmer bars. Two beams were prepared with spliced swimmer bars; the first is made from recycled steel bars, and the other is made from brand new bars. The beam made from recycled spliced swimmers is compared with the other two beams. Beam shear strength as well as beam deflection are the main two parameters considered in this study. The swimmer bar system is a new type of shear reinforcement. Splicing swimmer bars concept is a solution to the welding problem associated with old types of swimmer bars. Special shapes of swimmer bars are used for in this study such that the swimmer bars are spliced with the longitudinal flexural bars. Regardless of the number of swimmer bars used in each inclined plane, the swimmer bars form plane-crack interceptor system instead of bar-crack interceptor system when stirrups are used. The results of the three tested beams will be presented and discussed in this study. Also the deflection of the beams due to the gradual applied load is monitored and discussed. Cracks will be monitored and recorded during the beam test as the applied load increases. 1. Al-Nasra, M.M., and Wang, L.R.L., 1994, Parametric Study of Slab-On-Grade Problems: Due to Initial Warping and Point Loads. ACI Structural Journal, Vol. 91 No. 2. http://www.concrete.org/PUBS/JOURNALS/OLJDetails.asp?Home=SJ&ID=4596. 2. Moayyad Al-Nasra, Naeim Asha, “The Use of Bolted U—Link Swimmer Bars in the Reinforced Concrete Beams,” International Organization of Scientific Research, Journal of Engineering (IOSRJEN), Vol. 3 , Issue 10 , Version 5, ISSN Print: 2278-8719, ISSN Online: 2250-3021, DOI: 10.9790/3021-031052632, ANED: 0.4/3021-031052632, http://www.iosrjen.org, Pages 26-32, October, 2013. 3. Moayyad Al-Nasra, Naeim Asha, “ Investigating the Use of Spliced Swimmer Bars as Shear Reinforcement in Reinforced Concrete Beams”, ,” International Organization of Scientific Research, Journal of Engineering (IOSRJEN), Vol. 05 , Issue 02 , Version 02, ISSN Print: 2278-8719, ISSN Online: 2250-3021, DOI:- 05224754, ANED: 0.4/3021-05224754, ESCI-MML 3021-0502-4754, http://www.iosrjen.org, Pages 47-54, February 2015. 4. Piyamahant, (2002) , Shear behavior of reinforced concrete beams with small amount of web reinforcement, M. Eng. Dissertation, Kochi University of Technology, Japan. Abstract: In the past few years, network virtualization (NV) has been growing steadily among other network communities. NV offers an alternative advancement of the future internet by utilizing protocols and architectures through shared physical infrastructure and control architectures in the network. The frequent usage of NV demands new requirements that focus on the control and management of the given network. The existing process that combines software network resources and network functionality and hardware has even made NV more important in the network field (e.g., virtual networks have become important resources in information technology). Virtual network has taken the importance of NV from the original hardware while server virtualization supersedes virtual machines from the original server hardware. Therefore, the aim of the current paper is to provide a review of related studies on virtualization and NV concepts as well as aims or objectives and the requirements of such NV. It provides a brief description of technology and outlines its current and future applications. Finally, the study discusses the difficulties in implementing this technology. 1. Web site (2013) “Virtualization –basic “ retrieved from http://www .vmware. com/virtualization/what-is-virtualization.html / accessed on August 9. 2. Rouskas , G.N. (2012). “Network Virtualization: A Tutorial” , Optical Fiber communication conference and exposition (OFC/NFOEC), 2012 and national Fiber Optic Engineers Conference , pp. 1-15 , IEEE conference Publications. 4. N. M. Mosharaf Kabir Chowdhury & Raouf Boutaba (2009). University of Waterloo , “Network Virtualization: State of the Art and Research Challenges” , IEEE Communications Magazine ,pp. 20-26, July. 5. N.M. Mosharaf Kabir Chowdhury & Raouf Boutaba (2008). “A Survey of Network Virtualization” , University of Waterloo, Computer Science dep., Technical Report:pp.1-22. 6. Jorge Carapinha & Javier Jiménez (2009). “Network Virtualization – a View from the Bottom” , conferences.sigcomm.org/sigcomm , pp73. 7. Network Virtualization Study Group (NVSG) White Paper “Advanced Network Virtualization: Definition, Benefits, Applications, and Technical Challenges” ,pp.1-35, Version 1.0 , January 2012. 8. Anjing Wang, “Network Virtualization: Technologies, Perspectives, and Frontiers “, journal of light wave technology, vol. 31, no. 4, February 15, 2013. 10. Jiradett Kerdsri, Komwut Wipusitwarkun ,“Network Virtualization for Military Application: Review and Initial development of conceptual design”, Defense Technology Institute, Thailand, 2012. 11. Kundu , Raju Rangaswami Kaushik Dutta,and Ming Zhao, “Application Performance Modeling in a Virtualized Environment”, College of Business Administration Florida International University , 2009 . 12. Mao Yang, Yong Li, Lieguang Zeng, Depeng Jin, Li Su , “Parallel Selection Algorithm for Multiple Applications in Network Virtualization “ , Tsinghua National Laboratory for Information Science and Technology , 2011. 13. Li Yan , “Development and Application of Desktop Virtualization Technology “ , Computer Studies Department,Anhui University , 2011. 14. Michael Beham, Marius Vlad, Hans P. Reiser, “Intrusion Detection and Honeypots in Nested Virtualization Environments” , University of Passau, Germany, 2013. 15. Rami Co Renato Recio and Vinit Jain hen , “An Intent-based Approach for Network Virtualization “, IBM Austin, USA , IFIP, 2013. 16. Xavier Costa-Pérez and Joerg Swetina, , “Radio Access Network Virtualization for Future Mobile Carrier Networks “IEEE Communications Magazine , July 2013. 17. Yang Yang, Xiang Long, Xiaoqiang Dou, Chengjian Wen, “Impacts of Virtualization Technologies on Hadoop “,Third International Conference on Intelligent System Design and Engineering Applications, 2013. 18. Blenk, A., Basta, A., Reisslein, M., & Kellerer, W. (2015). Survey on Network Virtualization Hypervisors for Software Defined Networking. arXiv preprint arXiv:1506.07275. 19. Websit (2013), What is Network Virtualization from http://bradhedlund.com/2013/05/28/what-is-network-virtualization. 20. K. Fall, “A delay-tolerant network architecture for challenged internets,” in Proceedings of the 2003 conference on Applications, 2003. 21. L. V¨olker, D. Martin, I. E. Khayat, C. Werle, and M. Zitterbart, “ANode Architecture for 1000 Future Networks”, in Proceedings of the International Workshop on the Network of the Future 2009. Dresden,Germany: IEEE, Jun. 2009. 22. Muntasir Raihan Rahman and Raouf Boutaba, “SVNE: Survivable Virtual Network Embedding Algorithms for Network Virtualization “ , IEEE transactions on network and service management, vol. 10, no. 2, June 2013. 23. Masaki Fukushima, Kohei Sugiyama, Teruyuki Hasegawa, Toru Hasegawa ,“Minimum Disclosure Routing for Network Virtualization and Its Experimental Evaluation” , article, IEEE, 2013. 24. J´anos Tapolcai, G´abor R´etv´ari , “Router Virtualization for Improving IP-level Resilience “ , Proceedings IEEE infocom, 2013. 25. Rafael Pereira Esteves and Lisandro Zambenedetti Granville, Federal University of Rio Grande do Sul Raouf Boutaba, University of Waterloo “On the Management of Virtual Networks” , IEEE Communications Magazine • July 2013. 26. Yasusi Kanada and Toshiaki Tarui, Kei Shiraishi, “Federation-less-federation of Network-virtualization Platforms” Hitachi, Ltd., Central Research Laboratory Yokohama, Japan , 2013. 27. Md. Faizul Bari, Raouf Boutaba, Rafael Esteves, Lisandro Zambenedetti Granville, Maxim Podlesny, Md Golam Rabbani, Qi Zhang, and Mohamed Faten Zhani “Data Center Network Virtualization: A Survey” , IEEE communications surveys & tutorials, vol. 15, no. 2, second quarter 2013. 28. Dmitry Drutskoy, “Scalable Network Virtualization in Software- Defined Networks “ , IEEE internet computing, 2013. 29. Lu Liu, Osama Masfary Jianxin Li, “Evaluation of Server Virtualization Technologies for Green IT “,Proceedings of The 6th IEEE International Symposium on Service Oriented System Engineering (SOSE 2011). 30. Jiradett Kerdsri, Komwut Wipusitwarkun “Network Virtualization for Military Application Review and Initial development of conceptual design” , Sirindhorn International Institute of Technology, Thailand, ICACT, 2012. 31. Jiradett Kerdsri, Komwut Wipusitwarkun , “Data-wise Routing in Virtualization Environment (DRIVE) with multiple level of security for tactical network , IEEE/SICE International Symposium on System Integration (SII) , 2012. 32. Hongyan Cui, Fangjie Kong, Yunjie Liu , “A new algorithm of virtual network embedding based on minimum node stress and adjacent principle “The 4th IEEE International Workshop on Management of Emerging Networks and Services, 2012. 33. Xin Wang, Prashant Krishnamurthy, and David Tipper , “Wireless Network Virtualization “International Conference on Computing, Networking and Communications, Invited Position Papers , 2013. 34. Mike Redford,“Full Virtualization by Re-imaging Cloud Hardware “University of Fairfax, Vienna, Virginia. USA , 2011. 1. Peng, W. Sylvain, D., Jérôme, M. and Alain,V., Numerical and experimental analyses of resin infusion manufacturing processes of composite materials, Journal of Composite Materials,2012, Voluml 46, pp. 1617-1631. 2. Fowler DW, Polymers in concrete: a vision for the 21 st centry, Cement and Concrete Composites, 1999, Volume 21, pp.449-452. 3. Park J Kang MK.A.,Numerical simulation of the resin film infusion process, Composites Structures, 2000, Volume 60,pp.431–7. 5. Ambrosi D. and Preziosi L., Modelling matrix injection through elastic porous performs, Compos Part A, 1998, Volume 29, pp.5–18. 7. Blest DC, McKee S., Zulkifle AK, and Marshall P., Curing simulation by autoclave resin infusion, Composites Science and Technology, 1999, pp. 2297–313. 8. Correia NC, Robitaille F. Long AC, Rudd CD, Simacek P.and Advani SG, Analysis of the vacuum infusion moulding process: I. Analytical formulation.Compos Part A, Applied Science and Manufacturing, 2005, Volume.36, pp.1645–56. 9. Lopatnikov S., Simacek P., Gillespie J., Advani SG., A closed form solution to describe infusion of resin under vacuum in deformable fibrous porous media, Modellig and Simulation in Materials Science and Engineering, 2004, Volume 12, pp.191–204. 10. Sommer JL and Mortensen A., Forced unidirectional infiltration of deformable porous media, Journal of Fluid Mechanics, 1996, Volume 22, pp.1205–22. 11. Danis M. and Del Borrello C., Lacoste E., Mantaux O., Infiltration of fibrous perform by a liquid metal: modelization of the perform deformation. In, Proceedings of ICCM-12 Conference.Paris,1999. 12. Lacoste E., Mantaux O. and Danis M., Numerical simulation of metal matrixcomposites and polymer matrix composites processing by infiltration: a review, Composites Part A, 2002, Volume 33, pp.1605–14. 13. Michaud VJ, Sommer JL, Mortensen A., Infiltration of fibrous preforms by a pure metal: Part V. Influence of preform compressibility,Metallurgical and Materials Transactions A,1999, Volume 30, pp.471–82. 14. Celle P., Drapier S. and Bergheau JM., Numerical Modelling of Liquid Infusion into Fibrous Media Undergoing Compaction, European Journal of Mechanics - A/Solids, 2008, Volume 27, pp.647- 661.15. Celle P., Drapier S., Bergheau JM., Numerical Aspects of Fluid infusion inside a Compressible Porous Medium Undergoing Large Strains, European Journal of Computational Mechanics,2008, Volume 17, pp.19-827. Baltimore, 3-7 June, 2007, B287. 17. Rabier and Medale, Computation of free surface flows with a projection FEM in a moving mesh framework, Computer. Methods in Applied, Mechanics Engineering, 2003, Volume.192, pp.4703–4721. 18. Yang C., Grattoni C.A and Muggeridge A.H., Flow of water through channels filled with elastically deformable polymer gels.In European Conference on the Mathematics of Oil Recovery, Italy;13: 8.2000. Abstract: The Electromagnetic frequency (EMF) pollution around the living world has gripped it to such an extreme that it has potentially become unavoidable to live without it. As the development of mankind has become a slave of technology, it has to bear the brunt also. The stress created by the exposure of electromagnetic pollution on plants is a completely novice field. The stress expression in plants may be displayed by their developmental and biochemical responses. Since chlorophyll is one of the strong antioxidants known, variation in its amount has been taken up as an established symptom of oxidative stress. The initiation of stress responses on Vernonia cinerea at different distances from cell towers having ascending number of antennae has been evaluated and found to be positively correlated with the cumulative intensities of Electromagnetic frequencies. In all the cases perceived it was decreasing significantly with increasing distances. Keywords: antioxidants, antennae, chlorophyll, EMF, Pollution. 1. Hart F.X. and Marino A.A. (1977), Energy flux along high voltage transmission lines. IEEE Trans. Biomed. Eng. 24, 493-495. 2. Hiscox, J.D., Israelstam, G.F., a method for the extraction of chlorophyll from leaf tissue without maceration , Canadian journal of botany;57:1332-1334,(1979). 3. Arnon, D.I., copper enzymes in isolated chloroplasts, polyphenoxidase in beta vulgeris. Plantphysiology 24;1-15,(1949). 4. Krick ,J.T.O; and R.L. Allen,1965.Dependence of chloroplast pigments synthesis on protein synthetic effects on actidione. Biochemical , Biophysical Research communication.21:523-530. 5. Choudhary, N.K., P. K. Behra, 2001.”Photoinhibition of Photosynthesis : Role of carotenoids in Photoprotection of chloroplast constituents.” Journal of Photosynthetica 39 (4):481-488. 6. Thrash, R.J., H.L.B. Fang and G.E. Leroi, 1979. “On the role of forbidden low-intensity excited states of light – harvesting carotenoids in energy transfer in Photosynthesis.” Photochemistry and Photobiology 29 (5) :1049-1050. 7. Ami Ben- Amotz and Mordhay Avron,1983.” On the factors which determine massive β-carotene accumulation in the halotolerant alga Dunaliella bardawil”,Plant Physol.72,593-597. 8. Frank, H.A. , and Cogdell, R. J. , 1996, Photochem . photobiology,63 ,257-264. 9. Young, A. and Britton ,G ,1993. Carotenoids in photosynthesis , Champen and Hall ,Londen . Abstract: In this paper Authors are trying to develop Digital Beam Forming Vehicular Radar at 77 GHz. At the transmitter side antenna beam pattern is digitally controlled by the DBS Transmitter having DBF planar structure 4X4 elemental patch antenna and at the receiver end receiving antenna beam pattern is digitally controlled by DBS Receiver having identical 4X4 elemental antennas. From this model we are able to measure the target motion and accurate ranging in presence of hostile environment successfully. The performance of this innovative model in range and velocity resolution are better with respect to other conventional Radar system. 10. C. Andren, “Short PN Sequences for Direct Sequence Spread Spectrum Radios”, Harris Semiconductor, November 1997. 11. S. Hara and R. Prasad, Overview of multicarrier CDMA, “IEEE Comm. mag., no. 12, Vol. 35, pp 126-133, Dec 1997. Abstract: This paper presents a novel method for design of circularly polarized axial mode helical antenna with maximum directive gain. In this work helical antenna is modeled by eight parameters - helix radius (a), number of turns (N) and nonlinear pitch profile represented by a Catmull-Rom spline curve. This spline curve consists of six pitch angles, α1, α2, α3, α4, α5 and α6 at six equidistant points along the axial length of the helix. For a given number of turns optimum value of radius and pitch profile is determined for maximizing the gain subject to unity axial ratio. The gain and axial ratio are determined using NEC2 (Numerical Electromagnetics Code) simulation and optimization is performed using Particle Swarm Optimization (PSO). The original NEC2++ source code has been modified to incorporate Catmull-Rom spline modeling and PSO to suite the requirement of this work. Simulated and experimental results show that there is significant improvement in gain characteristics compared to design based on Kraus method which uses constant pitch profile. Keywords: Helical Antenna, Axial mode, Catmull-Rom spline, Method of Moments, Particle Swarm Optimization, NEC2. Abstract: Theefficient use of limited radio frequency spectrum is possible due tothe s¬mart antenna arrays.These antennas arrays incorporateadaptive algorithms, such as: Least Mean Square (LMS) algorithm, whichfinds the spatial temporal filtergains or weights according to the signal environment behavior. In terms of the mean error and mean squared error convergences of the LMS algorithm, the performance evaluationofthealgorithm is oriented by its convergence properties and the improvements in the mobile communication systems.In this paper is presented the LMS algorithm to solve the beamforming problem and antenna array concepts, as well as, it is presented general performance analysis,in terms of the LMSbeamformer to eliminate interference in antennas array.The potentialities of adaptive design are verified in modelsof smart linear antenna arrays. These antenna arrays models are connected to the beamformer model. The integration of these models allows todesign the adaptive beamformer. The results obtained from simulations of themodels showsthat the LMS algorithm is a good alternative for smart antenna design in mobile communication environment, due to the directivity improvement promoted in the antenna array. Keywords: Smart Antenna Array, Adaptive Filter, LMS Algorithm, Algorithm Convergence, Beamforming, InterferenceElimination, Mobile Communication, Wireless communications. 1. B. Farhang-Boroujeny, Adaptive Filters: Theory and Applications, 1st ed. Baffins Lane Chichester, U.K.: John Wiley& Sons, 1999. 2. Diniz, P. Adaptive Filtering Algorithms and Practical Implementation, 4rd ed. New York, EE.UU: Springer, 2013. 3. P. S. R. Diniz, Adaptive Filtering: Algorithms and Practical Implementation, 3rd ed. Boston, MA: Springer, 2008. 5. Balanis, C. Introduction to Smart Antennas, 1rd ed. Arizona: Morgan and Playpool publishers, 2007. 7. Van Veen, B., and Buckley, K., “The Digital Signal Processing Handbook”.1rd ed., Wisconsin of University, VillanovaUniversity, 1999. 8. Mozingo, R., Haupt, R., and Miller, T. "Introduction to AdaptiveArrays". 2rd ed., SciTech PublishingInc., 2011. 9. D. Poularikas and Z. M. Ramadan, Adaptive Filtering Primer with MATLAB, 1st ed. Boca Raton, FL: Taylor & Francis Group, 2006. 10. H. Sayed, Adaptive Filters, 1st ed. Hoboken, NJ: John Wiley & Sons, 2008. 11. S. Haykin, Adaptive Filter Theory, 4th ed. Upper Saddle River, 2002. Abstract: In this proposed method a new technique is introduced to secure audio communication. Discrete Wavelet Transforms (DWT) and Fast Fourier Transform (FFT) are used in this proposed method. Separation of high frequency component and low frequency component from original audio signal is performed by applying DWT. High frequency component is then passed through Fourier Transform (FFT). Digital watermark is generated using PN sequence. The digital watermark is embedded in low amplitude high frequency region of magnitude spectrum of FFT. DWT-FFT based proposed algorithm can be used for Copyright protection of audio signals. Proposed algorithm is evaluated using SNR and NC parameters with various attacks including volume scaling, low pass filter, resampling, requantization, MP3 compression, Echo addition, time stretching and additive noise. 1. Siwar Rekik, Driss Guerchi, Sid-Ahmed Selouani and Habib Hamam, “Speech steganography using wavelet and Fourier Transforms”, EURASIP Journal on Audio, Speech and music processing 2012. 2. B.Chen and G.W.Wornell, “Quantization index modulation: A class of provably good methods for digital watermarking and information embedding,” IEEE Trans. Inform. Theory, vol. 47 (4), pp. 1423–1443, 2001. 3. T.Cedric, R.Adi, and I.Mcloughlin, “Data concealment in audio using a non- linear frequency distribution of PRBS coded data and frequency-domain LSB insertion,” IEEE Region 10 International Conference on Electrical and Electronic Technology, Kuala Lumpur, Malaysia, pp. 275-278, September 2000. 4. P.K.Dhar, M.L.Khan and J.M.Kim, “A New Audio Watermarking System using Discrete Fourier Transform for Copyright Protection,” International Journal of Computer Science and Network Security, vol.10 (6), June 2010. 5. Pranab Kumar Dhar, Jong-Myon Kim, “Digital Watermarking Scheme Based on Fast Fourier Transformation for Audio Copyright Protection” International Journal of Security and Its Applications Vol. 5 No. 2, April, 2011. 6. K.Fitz and L.Haken, “On the Use of Time-Frequency Reassignment in Additive Sound Modeling,” Journal of the AES, vol. 50, no. 11, pp. 879-893, Nov. 2002. 7. Ali Al-Haj, Ahmad Mohammad and Lama Bata, “DWT–Based Audio Watermarking”, the International Arab Journal of Information Technology, Vol. 8, No. 3, July 2011. 8. N.Cvejic and T.Seppänen, “Increasing robustness of LSB audio steganography by reduced distortion LSB coding,” Journal of University Computer Science, vol. 11(1), pp. 56-65, 2005. 9. Y.Yoshitomi, T.Asada, Y.Kinugawa and M.Tabuse, "An Authentication Method for Digital Audio Using a Discrete Wavelet Transform," Journal of Information Security, Vol. 2 No. 2, pp. 59-68. doi: 10.4236/jis.2011.22006, 2011. 10. Harleen Kaur, Usvir Kaur, “Blind Audio Watermarking schemes: A Literature Review”, IRACST – Engineering Science and Technology: An International Journal (ESTIJ), ISSN: 2250-3498, Vol.3, No.2, April 2013. 11. J.Cooley and J. Tukey, “An algorithm for the machine calculation of the complex Fourier series,” Math. Comput., vol. 19, pp. 297-301, 1965. 12. B.P.Bogert, M.J.R.Healy and J.W.Tukey, “The Quefrency Alanysis of Time Series for Echoes: Cestrum, Pseudo-Auto covariance, Cross-cestrum and Shape Cracking,” in Proceedings of the Symposium on Time Series Analysis, by M. Rosenblatt, pp. 209-243, Wile N.Y. 1963. 13. J.Cooley and J.Tukey, “An algorithm for the machine calculation of the complex Fourier series,” Math. Comput., vol. 19, pp. 297-301, 1965. 14. S.Murata, Y.Yoshitomi and H. Ishii, "Audio Watermarking Using Wavelet Transform and Genetic Algorithm for Realizing High Tolerance to MP3 Compression,"
Journal of Information Security, Vol. 2 No. 3, pp. 99-112. doi: 10.4236/jis.2011.23010, 2011. 15. ZhengLiuandAkiraInoue, “Audio Watermarking Techniques Using Sinusoidal Patterns Based on Pseudorandom Sequence”, IEEE Transactions On Circuits And Systems For Video Technology,Vol.13,NO.8,pp.801-812,August2003. 16. Komal Shedge, Mangal Patil, J.S.Chitode ,”A new facet in Robust Audio Watermarking in DWT-SVD Domain”, International Journal Of Engineering Research & Technology(IJERT),ISSN:2278-0181,Vol-3 Issue 5,May-2014. 17. Wei Li, Xiangyang Xue, and Peizhong Lu, “Localized Audio Watermarking Technique Robust Against Time-Scale Modification” IEEE transactions on multimedia, vol. 8, no. 1, February 2006. 18. I.J.Cox, J.Kilian, and T.Leighton, “T. Shammoon, Secure Spread Spectrum Watermarking for Multimedia,” IEEE Trans. Image Process, vol. 6(12), pp. 1673-1687, 1997. 19. P.Bassia and I.Pitas, “Robust audio watermarking in the time domain”, IEEE transactions onMultimedia,Vol.3,Issue:2,pp.232–241,2001..
Abstract: This paper presents a new synchronous reference-frame (SRF)-based control method to compensate power-quality (PQ) problems through a three-phase four-wire unified PQ conditioner (UPQC) under unbalanced and distorted load conditions. The proposed UPQC system can improve the power quality at the point of common coupling on power distribution systems under unbalanced and distorted load conditions. The simulation results based on Matlab/Simulink are discussed in detail to support the SRF-based control method presented in this paper. Keywords: Active power filter (APF), harmonics, phase-locked loop (PLL), power quality (PQ), synchronous reference frame (SRF), unified power-quality (PQ) conditioner (UPQC). 1. L. Gyugyi and E. Strycula, “Active AC power filters,” in Conf. Rec. IEEEIAS Annu. Meeting, Chicago, IL, Oct. 1976, pp. 529–535. 2. H. Akagi and H. Fujita, “A new power line conditional for harmonic compensation in power systems,” IEEE Trans. Power Del., vol. 10, no. 3, pp. 1570–1575, Jul. 1995. 4. H. Akagi, E. H. Watanabe, and M. Aredes, Instantaneous Power Theoryand Applications to Power Conditioning. Hoboken, NJ: Wiley-IEEE Press, Apr. 2007.
no. 2, pp. 968–976, Apr. 2007. 6. Han, B. Bae, H. Kim, and S. Baek, “Combined operation of unifiedpower-quality conditioner with distributed generation,” IEEE Trans.Power Del., vol. 21, no. 1, pp. 330–338, Jan. 2006. 7. M. Aredes, “A combined series and shunt active power filter,” in Proc.IEEE/KTH Power Tech Conf., Stockholm, Sweden, Jun. 1995, pp. 18–22. 8. Y. Chen, X. Zha, and J. Wang, “Unified Power Quality Conditioner(UPQC): The theory, modeling and application,” in Proc. PowerCon,2000, vol. 3, pp. 1329–1333. no. 6, pp. 1293–1298, Nov./Dec. 1998. 10. Esfandiari, M. Parniani, A. Emadi, and H. Mokhtari, “Application of the unified power quality conditioner for mitigating electric arc furnace disturbances,” Int. J. Power Energy Syst., vol. 28, no. 4, pp. 363–371,2008. 11. M. Aredes, H. Akagi, E. H. Watanabe, E. V. Salgado, and L. F. Encarnacao, “Comparisons between the p−q and p−q−r theories in three-phase four-wire systems,” IEEETrans. Power Electron., vol. 24,no. 4, pp. 924–933, Apr. 2009. 13. S. Bhattacharya, D. M. Divan, and B. Banerjee, “Synchronous reference frame harmonic isolator using series active filter,” in Proc. 4th EPE,Florence, Italy, 1991, vol. 3, pp. 030–035. 14. S. Bhattacharya, T. M. Frank, D. M. Divan, and B. Banerjee, “Active filters ystem implementation,” IEEE Ind. Appl. Mag., vol. 4, no. 5, pp. 47–63,Sep./Oct. 1998. 15. S. Bhattacharya and D. Divan, “Synchronous frame based controller implementation for a hybrid series active filter system,” in Conf. Rec. IEEEIAS Annu. Meeting, 1995, pp. 2531–2540. 16. G. D. Marques, V. F. Pires, M. Malinowski, and M. Kazmierkowski, “An improved synchronous reference frame method for active filters,” in Proc.Int. Conf. Comput. Tool, EUROCON, Sep. 2007, pp. 2564–2569. Abstract: Instrumented drop weight impact tests at different impact energies were performed to investigate the effect of ply stacking sequence and thickness in plain weave glass fiber reinforced composite laminates with 0º and 0/90º ply orientations. Post impact tensile tests were performed to predict the residual strength of the material. It was found that the stacking sequence did not significantly affect the impact behavior of the composite laminates. The peak load increased with increase in the number of plies. Residual tensile strength, strain at failure and elastic modulus of the laminates decreased with the increase in the impact energy due to increase in the impact damage area. 2. Alessandro Pegoretti, Elena Fabbri, Claudio Migliaresi and Francesco Pilati, Intraply and interply hybrid composites based on E-glass and poly(vinyl alcohol) woven fabrics: tensile and impact properties, Polymer International, 2004, Vol. 53, pp. 1290–1297. 4. W.H. Choong, K.B. Yeo and M.T. Fadzlita, 2011. Impact Damage Behavior of Woven Glass Fibre Reinforced Polymer Composite. Journal of Applied Sciences, 11, 2011, pp. 2440-2443. 5. Ben Jar, Gros X E, Takahashi K, Kawabatta K, Murai J, Shinagawa Y, Evaluation of Delamination Resistance of Glass Fibre Reinforced Polymers Under Impact Loading, Journal of Advanced Materials, July 2000, Vol. 32, No. 3, pp. 35-45. 6. Berketis K, Tzetzis D, Hogg P.J, The influence of long term water immersion ageing on impact damage behaviour and residual compression strength of glass fibre reinforced polymer (GFRP), Materials and Design, Vol. 29, Issue 7, 2008, pp.1300–1310 . 8. Caprino G, Lopresto V, On the penetration energy for fibre-reinforced plastics under low-velocity impact conditions, Composites Science and Technology, 2001, Vol. 61, pp. 65-73. 9. Seunghan Shin, Jyongsik Jang, Fractographical analysis on the mode II delamination in woven carbon fiber reinforced epoxy composites, Journal of Materials Science, 1999, Vol. 34, pp. 5299–5306. 10. Shaw Ming Lee, Mode II delamination failure mechanisms of polymer matrix composites, Journal of Materials Science, 1997, Vol. 32, pp. 1287–1295. 11. Cesim Atas, Dahsin Liu, Impact response of woven composites with small weaving angles, International Journal of Impact Engineering, 2008, Vol. 35, pp. 80–97. 12. Dahsin Liu, Delamination resistance in stitched and unstitched composite plates subjected to Impact Loading, Journal of Reinforced Plastics and Composites, January 1990, Vol. 9. 13. David Trudel Boucher, Martin Bureau N, Johanne Denault and Fisa Bo, Low-Velocity Impacts in Continuous Glass Fiber/Polypropylene Composites, Polymer Composites, August 2003, Vol. 24, No. 4. 14. Edgar Fuoss, Thesis: Effects of Stacking Sequence on the Impact Damage Resistance of Composite Laminates, Carleton University, December 1996. 15. Jang-Kyo Kim, Man-Lung Sham, Impact and delamination failure of woven-fabric composites, Composites Science and Technology, 2000, Vol. 60, pp. 745-761. 2005, Vol. 70, pp. 223–228. 17. Rohchoon Park and Jyongsik Jang, Impact Behavior of Aramid Fiber/Glass Fiber Hybrid Composites: The Effect of Stacking Sequence, Polymer Composites, February 2001, Vol. 22, No. 1. 18. Shaw Ming Lee, Mode II delamination failure mechanisms of polymer matrix composites, Journal of Materials Science, 1997, Vol. 32, pp. 1287–1295. Abstract: This paper presents a comparison of information systems (IS) programmes taught to undergraduates at 20 Saudi Arabian colleges. The colleges were divided into two groups: one group of 10 colleges and programmes focused on management information systems (MIS) and another group of 10 colleges and programmes on computerized information systems (CIS). Despite a shared core focus on IS, the two programme types differ in terms of where they are taught (at either business or science colleges) and the types of courses they offer. Regardless of type, all programmes tend to be internationally accredited. Programmes of the first type seek accreditation from the Accreditation Board for Engineering and Technology (ABET), whereas programmes of the second type seek accreditation from the Association to Advance Collegiate Schools of Business (AACSB). Keywords: Information Systems (IS), Curriculum Comparison, ABET, AACSB, Accreditation, IS Environment, IS Specialisation. 2. W.-K. Chen, Linear Networks and Systems (Book style). Belmont, CA: Wadsworth, 1993, pp. 123–135. 3. H. Poor, An Introduction to Signal Detection and Estimation. New York: Springer-Verlag, 1985, ch. 4. 4. B. Smith, “An approach to graphs of linear forms (Unpublished work style),” unpublished. 5. E. H. Miller, “A note on reflector arrays (Periodical style—Accepted for publication),” IEEE Trans. Antennas Propagat., to be published. 6. J. Wang, “Fundamentals of erbium-doped fiber amplifiers arrays (Periodical style—Submitted for publication),” IEEE J. Quantum Electron., submitted for publication. 7. C. J. Kaufman, Rocky Mountain Research Lab., Boulder, CO, private communication, May 1995. 8. Y. Yorozu, M. Hirano, K. Oka, and Y. Tagawa, “Electron spectroscopy studies on magneto-optical media and plastic substrate ABET Computing Accreditation Commission. (215-2016) Criteria for accrediting computing programmes, effective for evaluations during the 2015-2016 accreditation cycle. 9. ABET Computing Accreditation Commission. (2004) Criteria for accrediting computing programmes, November 1, 2004. 10. Business Dictionary. [online] http://www.businessdictionary.com/definition/information-system.html (Accessed 7 February 2015). 11. Gorgone, J.T., Gray, P., Stohr, E. A., Valacich, J.S. and Wigand, R. T. (2006) MSIS 2006. Model curriculum and guidelines for graduate degree programmes in information systems, ACM, AIS, January 2006. 12. Reichgelt, H., Lunt, B., Ashford, T., Phelps, A., Slazinski, E. and Willis, C. (2004) ‘A comparison of baccalaureate programmes in information technology with baccalaureate programmes in computer science and information systems’, Journal of Information Technology Education Vol. 3 No. 1, pp. 19-34. Abstract: In an AC circuit, a resistance behaves in exactly the same way as it does in a DC circuit. That is, the current flowing through the resistance is proportional to the voltage across it. This is because a resistor is a linear device and if the voltage applied to it is a sine wave, the current flowing through it is also a sine wave. But most electronic power supply switching circuits such as rectifiers, silicon controlled rectifier (SCR’s), power transistors, power converters and other such solid state switches which cut and chop the power supplies sinusoidal waveform to control motor power, or to convert the sinusoidal AC supply to DC. Theses switching circuits tend to draw current only at the peak values of the AC supply and since the switching current waveform is non-sinusoidal the resulting load current is said to contain Harmonics. we can say that “harmonics” are multiples of the fundamental frequency and can therefore be expressed as: 2ƒ, 3ƒ, 4ƒ, etc. Positive sequence harmonics (4th, 7th, 10th, …) causes overheating of transformer ,conductor power lines whereas negative sequence harmonics ( 2nd, 5th, 8th, …) circulates between phases producing additional problems in motor as opposite phasor rotation weakens rotating magnetic field required by the motor. There is another harmonics set called triplen means odd multiple of third harmonics ( 3rd, 6th, 9th, …), etc zero rotational sequence hence therefore zero sequence harmonics circulates between phase and neutral or ground. 1. ‘Electric Utility Power System”. A text book by John Smith& McGraw-Hill. 2. “ Harmonics Made Simple” by R.Fehr , P.E. 4. R.C. Dugan, D.T. Rizy, “Harmonic Considerations for Electrical Distribution Feeders"
Abstract: In the present report, we have utilised the inversion products of AERONET to study the aerosol optical properties and to estimate their direct adiative forcings over three different environments (Re Union, Nainital and Pune). Derived aerosol optical properties over all stations showed significant temporal (seasonal) and spatial variation. These properties have been used in SBDART model for the assesment of direct aerosol radiative forcing. The estimated averaged radiative forcings at top of the atmosphere are -2 ± 1, -7 ± 4 and -8 ± 2 Wm-2, and the surface aerosol radiative forcings are -6 ± 3, -18 ±14 and -36 ± 8 Wm-2 over Re Union, Nainital and Pune respectively. Subsequntly the atmospheric forcings are 3 ± 2, 11 ± 11 and 28 ± 7 Wm-2 over Re Union, Nainital and Pune respectively. Moreover, we found that higher the aerosol loading or aerosol optical depth the more aerosol radiative forcing. The estimated atmospheric aerosol radiative forcing will heats the lower atmosphere and leads modification of the thermal structure of the atmosphere. Hence, our study emphasized the importance of optical properties of aerosols in the estimation of direct aerosol radiative forcing. Keywords: optical properties of aerosols; radiative transfer. 1. ACKERMAN, A. S., TOON, O. B., STEVENS, D. E., HEYMSFIELD, A.J., RAMANATHAN, V., and WELTON, E.J., 2000, Reduction of tropical cloudiness by soot. Science, 288(5468), pp. 1042-1047. 2. ANGSTROM A., 1964. The parameters of atmospheric turbidity. Tellus. 16: 64–75. 3. CHATRAPATTY, BHUGWANT., EMMANUEL RIVIERE, PHILIPPE KECKHUT and JEAN LEVEAU., 2001, Variability of carbonaceous aerosols, ozone and radon at Piton Textor, a mountain site on Re´union island (south-western Indian Ocean), Tellus, 53B, 546–563. 4. CHATRAPATTY, B., MILOUD, B., OLIVIER, F., LAURA, C., BRUNO, S., EVA, L., 2013, High Contribution of Sea Salt Aerosols on Atmospheric Particles Measured at an Urban Tropical Location in Reunion Island, Journal of Environmental Protection, 2013, 4, 828-842. 5. CHIEN, WANG., 2013, Impact of anthropogenic absorbing aerosols on clouds and precipitation: A review of recent progresses. Atmospheric Research, 122, 237–249. 7. DUMKA, U. C., SATHEESH, S. K., PANT, P., HEGDE, P., and KRISHNA MOORTHY, K., 2006, Surface changes in solar irradiance due to aerosols over central Himalayas. Geophysical Research Letters, 33, L20809: doi: 10.1029/2006GL027814. 8. DUMKA,, U.C., MOORTHY, K. KRISHNA., SATHEESH, S. K., SAGAR, R., and PANT, P., 2008. Short- Period Modulations in Aerosol Optical Depths over Central Himalayas: Role of Mesoscale Processes. J. Climate Appl. Meteor. 47: 1467-1475. 9. DUMKA, U. C., SAGAR, R., PANT, P., 2009, Retrieval of Columnar Aerosol Size Distributions from Spectral Attenuation Measurements over Central Himalayas. Aerosol and Air Quality Research, 9, pp. 344-351.
biomass burning, urban, and desert dust aerosols. J. Geophys. Res.,104, 31,333-31,349. 11. ERNEST RAJ, P., DEVARA, P C S., MAHESH KUMAR, R S., PANDITHURAI, G DHANI, K K., 1997, Lidar measurements of aerosol column content in an urban nocturnal boundary layer, J. Atmospheric Research, 45, 201 – 216. 12. GADHAVI, H. and JAYARAMAN, A., 2010, Absorbing aerosol: contribution of biomass burning and implications for radiative forcing. Journal of Annales Geophysicae, 28, pp. 103-111. 13. HEGDE, P., PANT, P. and BHVANI KUMAR, Y., 2009, An integrated analysis of Lidar observations in association with optical properties of aerosols from a high altitude location in central Himalayas. Atmospheric Science Letters, 10, pp. 48–57. 14. HOLBEN, B.N., et al. (1998). AERONET - A federated instrument network and data archive for aerosol characterization. Remote Sens. Environ., 66, 1-16. 15. HOLBEN, B. N., et al. (2001). An emerging ground-based aerosol climatology: Aerosol optical depth from AERONET. J. Geophys. Res., 106, 12,067– 12,097. 16. KRISHNA, P., KUNHIKRISHNAN, P. K., 2004. Temporal variations of ventilation coefficient at a tropical Indian station using UHF wind profiler. Current Science, 86, No. 3. Abstract: Fuel cells are promising energy carrier whose adoption would signify a radical change in which energy is produced, distributed and consumed. Growing attention is being devoted to this energy cycle in order to explore the possibilities offered to alleviate the susceptibilities and weaknesses of the present schemes. Hydrogen does not normally exist naturally in the world, but it can be used as an energy course to extract or store energy from relic fuels or intermittent renewable energy sources (RES) and then change it into electrical power and heat using fuel cells or combustion engines. It is therefore expected to play a key role in integrating future energy systems, bridging the transition from a largely fossil-based to a more RES-based European energy economy - with the advantages of diversified sources and sustainability. Used in conjunction with fuel cells for stationary, mobile, small portable or micro-power applications, hydrogen opens the real prospect of a paradigm shift in the provision of heat and power to the transport, residential and commercial sectors. 1. Abdollahzadeh Jamalabadi, M.Y. (2015). Effects of micro and macro scale Viscous Dissipations with Heat Generation and Local Thermal Non-Equilibrium on Thermal Developing Forced Convection in saturated porous media, Journal of Porous Media, 18(9), 843-860. 2. Abdollahzadeh Jamalabadi, M.Y. (2015). Joule Heating in Low-Voltage Electroosmotic with Electrolyte containing nano-bubble mixtures through Microchannel Rectangular Orifice, Chemical Engineering Research and Design, 102, 407-415. 3. Abdollahzadeh Jamalabadi, M.Y., Ghasemi, M., & Hamedi, M.H. (2012). Two-dimensional simulation of thermal loading with horizontal heat sources, Proceedings of the Institution of Mechanical Engineers, Part C: Journal of Mechanical Engineering Science, 226, 1302-1308. 4. Abdollahzadeh Jamalabadi, M.Y., Park, J.H., & Lee, C.Y. (2015). Optimal Design of MHD Mixed Convection Flow in a Vertical Channel with Slip Boundary Conditions and Thermal Radiation Effects by using Entropy Generation Minimization Method, entropy, 17(2), 866-881. 5. Abdollahzadeh Jamalabadi, M.Y., & Park, J.H., (2014). Effects of Brownian motion on Freezing of PCM Containing Nanoparticles, Thermal Science, OnLine-First Issue, 00 94-94. 6. Abdollahzadeh Jamalabadi, M.Y., Park, J.H., & Lee, C.Y. (2014). Thermal Radiation effects on the Onset of Unsteadiness of Fluid Flow in Vertical Microchannel Filled with Highly Absorbing Medium, Thermal Science, OnLine-First Issue 00, 124-124. 7. Abdollahzadeh Jamalabadi, M.Y., Ghasemi M., & Hamedi M.H. (2013). Numerical Investigation of Thermal Radiation Effects on Open Cavity with Discrete Heat Sources, International Journal of Numerical Methods for Heat and Fluid Flow, 23(4), 649-661. 8. Abdollahzadeh Jamalabadi, M.Y. (2013). Electrochemical and exergetic modeling of a CHP system using tubular solid oxide fuel cell and mini gas turbine , Journal of Fuel Cell Science Technology, 10(5), 051007. 9. Abdollahzadeh Jamalabadi, M.Y. (2016). Optimal Design of Cylindrical PBX by Entransy Dissipation Extremum Principle, International Journal of Energetic Materials and Chemical Propulsion, accepted for publication, 15. 10. Abdollahzadeh Jamalabadi, M.Y. (2016). Thermal Radiation Effects on Creep Behavior of the Turbine Blade, Multidiscipline Modeling in Materials and Structures, minor revision. 11. Abdollahzadeh Jamalabadi, M.Y., Park, J.H., Rashidi, M.M., & Chen J.M. (2015). Effects of Thermal Boundary Conditions on the Joule Heating of Electrolyte in a Microchannel, Journal of Hydrodynamics, Ser. B, accepted for publication. 12. Abdollahzadeh Jamalabadi, M.Y., (2015). Entropy generation in boundary layer flow of a micro polar fluid over a stretching sheet embedded in a highly absorbing medium, Frontiers in Heat and Mass Transfer, 6(1), 1-13. 13. Abdollahzadeh Jamalabadi, M.Y. (2014). The frequency response of a cavitating hydrofoil, Noise and Vibration Worldwide, 45(8), 21-27. 14. Abdollahzadeh Jamalabadi, M.Y. (2014). Analytical study of Magnetohydrodynamic propulsion stability, Journal of Marine Science and Application, 13(3), 281-290. 15. Abdollahzadeh Jamalabadi, M.Y. (2014). Experimental investigation of thermal loading of a horizontal thin plate using infrared camera, Journal of King Saud University – Engineering Sciences, 26(2), 159-167. 16. Abdollahzadeh Jamalabadi, M.Y., Park, J.H., & Lee, C.Y. (2014). Economic and environmental modeling of a micro gas turbine and solid oxide fuel cell hybrid combined heat and power system, International Journal of Applied Environmental Sciences, 9(4), 1769-1781. 17. Abdollahzadeh Jamalabadi, M.Y. (2014). Simulation of electrochemical impedance spectroscopy of a solid oxide fuel cell anodes, World Applied Sciences Journal, 32(4), 667-671. 18. Abdollahzadeh Jamalabadi, M.Y., & Park, J.H. (2014). Investigation of property variations on freezing of pcm containing nanoparticles, World Applied Sciences Journal, 32(4) 672-677. 19. Abdollahzadeh Jamalabadi, M.Y. (2014). Economic and environmental modeling of a MGT-SOFC hybrid combined heat and power system for ship applications, Middle-East Journal of Scientific Research, 22(4), 561-574. 20. Abdollahzadeh Jamalabadi, M.Y. (2015). MD simulation of Brownian motion on trapping of Buckminsterfullerene in nano-Optical tweezers, International Journal of Optics and Applications, 5(5), 161-167. 21. Abdollahzadeh Jamalabadi, M.Y. (2015). Numerical investigation of thermal radiation effects on electrochemical impedance spectroscopy of a solid oxide fuel cell anodes, Materials Performance and Characterization, DOI: 10.1520/MPC20140062. 22. Abdollahzadeh Jamalabadi, M.Y. (2015). Effect of fuel inject angle on the thermal behavior of a 2D axisymmetric non-premixed methane–air flame in vertical cylinder filled by porous media, International Journal of Energy Engineering, 5,1, 1-8. 23. Abdollahzadeh Jamalabadi, M.Y., & Park, J.H. (2014). Thermal radiation, joule heating, and viscous dissipation effects on mhd forced convection flow with uniform surface temperature, Open Journal of Fluid Dynamics, 4(2), 125-132. 24. Abdollahzadeh Jamalabadi, M.Y. (2014). Effect of fuel inject angle on non-premixed combustion of air/methane mixtures in vertical cylinder, International Journal of Multidisciplinary Research and Development, 1(5), 1-4. 25. Abdollahzadeh Jamalabadi, M.Y., & Park, J.H. (2014). Electro-Magnetic Ship Propulsion Stability under Gusts, International Journal of Sciences: Basic and Applied Research Sciences, 1, 421-427. 26. Abdollahzadeh Jamalabadi, M.Y., Hooshmand, P., Khezri, B., & Radmanesh, A. (2014). Investigation of using different fluids for using in gas turbine- Rankine cycle, Indian journal of Scientific Research, 2, 74-81. 27. Bita, S., Abdollahzadeh Jamalabadi, M.Y., & Mesbah, M. (2015). Toxicity study of silver nanoparticles synthesized using seaweed Sargassum angustifolium in common carp, Cyprinus carpio, Journal of Chemical and Pharmaceutical Research, accepted for publication. 28. Dadgostari, F., Hosseininia, M. (2012). Phasing of Traffic Lights in Urban Intersections. Graph Theory for Operations Research and Management: Applications in Industrial Engineering: Applications in Industrial Engineering, 257. 29. Dousti, S., Cao, J., Younan, A., Allaire, P., & Dimond, T., (2012). Temporal and Convective Inertia Effects in Plain Journal Bearings With Eccentricity, Velocity and Acceleration, Journal of tribology, 134(3), 031704,8. 30. Dousti, S., & Fittro, R.L. (2015). An Extended Reynolds Equation Including the Lubricant Inertia Effects: Application to Finite Length Water Lubricated Bearings, ASME Turbo Expo 2015: Turbine Technical Conference and Exposition. 31. Dousti, S., Kaplan, J.A., He, F., & Allaire, P.E., (2013).Elastomer O-Rings as Centering Spring in Squeeze Film Dampers: Application to Turbochargers, ASME Turbo Expo 2013: Turbine Technical Conference and Exposition. Abstract: Northeast India is regarded as one of the most seismically six active regions worldwide. Moreover, rapid urbanization in the region have provided a higher level of man-made constructions deviating from the typical traditional houses to multistoried structures but most of these structures are non engineered construction. Even though engineered, more emphasis is given to architectural concept than the structural design, which is indeed very important. So the implementation of earthquake resistant building design and construction code at the local level has been more of an exception than the rule, thereby implicating increased vulnerability to earthquake disasters. That’s why there is a need for the construction of a simple construction practices for use by the community. This paper deals with the different types of non engineering building construction that are practiced in Northeast India and the ways for strengthening these building to make them a low cost earthquake resistant building. Keywords: Community, Construction code, Disaster resistant, Non- engineered building, Strengthening technique. 1. Affordable bamboo housing in earthquake prone areas, An international workshop organised by Cane and Bamboo Technology Centre (CBTC), Government of Mizoram, International network for bamboo and rattan, Aizawl, Mizoram, India, 2001. 2. Alam, M.J., Ahsan, R., Akhter, F., and Paul, A. (2008), “Earthquake Resistant Non-Engineered Building Construction for Rural Area in Bangladesh” Proc: 14WCEE, 12-17 October, 2008, pp. 1-8. 5. Elizabeth, S., Datta, A.K. (2012) “Bamboo as a Construction Material in Seismic Zone Area of Developing Countries - A Review” Proc. Fifth Cusat National Conference on Recent Advances in Civil Engineering, 29th November, 2012, Cochin. 6. Hemant B. Kaushik, Kaustubh Dasgupta, Dipti R. Sahoo, Gayatri Kharel (2006)” Performance of structures during the Sikkim earthquake of 14 February 2006,”Current Science, Vol. 91, Issue No. 04, 25th August, 2006, pp.449-455. 8. IS: 13828 (1993) `Improving Earthquake Resistance of Low Strength Masonry Buildings –Guidelines’. Bureau of Indian Standards, New Delhi. 9. IS: 13827 (1993) `Improving Earthquake Resistance of Earthen Buildings – Guidelines’. Bureau of Indian Standards, New Delhi. 10. Manik D. Kakkad, Capt.C.S. Sangvi, (2011), “Comparative Study of Bamboo (Ikra) Housing System with Modern Construction Practice” Proc. National Conference on Recent Trends in Engineering and Technology, 13-14 May, 2011, B.V.M. Engineering College, Gujarat. 11. Mitch D. R. (2010) “Structural behavior of grouted-bar bamboo column bases” Doctoral thesis, University of Pittsburgh, 2010. Conference on Earthquake Engineering, Vancouver, Canada, August 1-6, 2004, Paper No. 1393. 13. Teddy Boen, (2001), “ Earthquake Resistant Non – Engineered in Indonesia” presented during EQTAP Workshop – IV, Kamakura, Japan, December 3-4, 2001. 15. Tiwari, R.P. (2000). “Earthquake hazards and mitigation in India with special reference to Northeastern India”, ENVIS Bulletin, 8(2): pp. 15-22. 1. Hans V.S., Saini, R.P., Saini, J.S. , “Performance of artificially roughened solar air heaters-A review”, Renewable and Sustainable Energy Reviews, 13, 18541869,2009. 2. Varun, Saini R.P., Singal S.K., “A review on roughness geometry used in solar air heaters”, Solar Energy, 81,1340-1350, 2007. 4. A.K. Patil, J.S. Saini, K.Kumar,” A Comprehensive Review on Roughness Geometries and Investigation Techniques Used in Artificially Roughened Solar Air Heaters”, International journal of Renewable Energy Research, Vol-2,2012 . 5. Han J.C., Glicksman L.R., Rohsenow W.M., “Heat transfer and friction for rib roughened surfaces” International journal of Heat mass transfer, 21, 11431156,1978. 6. Han J.C., “Heat transfer and friction in channels with opposite rib roughened walls”, Trans. ASME Journal of Heat Transfer, 106, 774-781, 1984. 7. Han, J.C., Park, J.S., Lei, C.K., “Augmented heat transfer in rectangular channel of narrow aspect ratios with rib turbulators”, International journal of Heat mass transfer, 32/9, 1619-1630, 1989. 8. Ravigururajan T.S., Bergles A.E., “General correlations for pressure drop and heat transfer for single phase turbulent flow in internally ribbed tubes”, J. ASME, 52, 9-20, 1985. 9. L. Wang, B. Sundén, Experimental investigation of the effect of rib shape on local heat transfer in a square duct by means of liquid crystal thermography, Proceedings of the sixth World Conference on Experimental Heat Transfer, Fluid Mechanics, and Thermodynamics, Matsushima, Miyagi, Japan, 2005. 10. Y.J. Hong, S.S. Hsieh, Heat transfer and friction factor measurements in ducts with staggered and in-line ribs, ASME J. Heat Transfer 115 (1993) 58–65. 11. M.E. Taslim, T. Li, D.M. Kercher, Experimental heat transfer and friction in channels roughened with angled, V shaped, and discrete ribs on two opposite walls, ASME J. Turbomach. 118 (1998) 20–28. 12. Murata, S. Mochizwki, Comparison between laminar and turbulent heat transfer in a stationary square duct with transverse or angled rib turbulators, Int. J. Heat Mass Transfer 44 (11) (2001) 1127–1141. 13. T.M. Liou, J.J. Hwang, Effect of ridge shapes on turbulent heat transfer and friction in rectangular channel, Int. J. Heat Mass Transfer 36 (4) (1993) 931–940. 14. P.R. Chadra, M.L. Fontenot, J.C. Han, Effect of rib proﬁles on turbulent channel ﬂow heat transfer, AIAA J. Thermophys. Heat Transf. 12 (1) (1998) 116–118. HTD-202, Enhanced Heat Transfer, 1992, pp. 67–75. 16. Karwa R, Solanki SC, Saini JS. Heat transfer coefﬁcient and friction factor correlations for the transitional ﬂow regime in rib-roughened rectangular ducts. International Journal of Heat and Mass Transfer 1999;42:1597–615. 17. S.W. Ahn, The effect of roughness type on friction factors and heat transfer in roughened rectangular duct, Int. Commun. Heat Mass Transf. 28 (7) (2001)933–942. 18. Ooi, G. Iaccarino, P.A. Durbin, M. Behnia, Reynolds averaged simulation of ﬂow and heat transfer in ribbed ducts, Int. J. Heat Fluid Flow 23 (2002) 750–757. 19. T.-M. Liou, J.-J. Hwang, S.-H. Chen, Simulation and measurement of enhanced turbulent heat transfer in a channel with periodic ribs on one principal wall, Int. J.Heat Mass Transf. 36 (2) (1993) 507–517. 21. Karmare S.V., Tikekar A.N., “Analysis of fluid flow and heat transfer in a rib grit roughened surface solar air heater using CFD”, Solar Energy, 84, 409-417, 2010. 22. Kumar S., Saini R.P., “CFD based performance analysis of a solar air heater duct provided with artificial roughness”, Renewable Energy, 34, 1285-1291, 2009. 23. S. Yadav and J. L. Bhagoria, “A CFD analysis of a solar airheater having triangular rib roughness on the absorber plate,”International Journal of ChemTech Research,vol.5,no.2,pp.964–971, 2013. 24. S. Yadav and J. L. Bhagoria, “A CFD based heat transfer and fluid flow analysis of a solar air heater provided with circular transverse wire rib roughness on the absorber plate,” Energy,vol. 55, pp. 1127–1142, 2013. 25. S. Yadav and J. L. Bhagoria, “A CFD based heat transfer and fluid flow analysis of a conventional solar air heater,” Journal of Engineering Science and Management Education,vol.6,no.2, pp.137–146,2013. 26. S. Yadav and J. L. Bhagoria, “Numerical investigation of flow through an artificially roughened solar air heater,” International Journal of Ambient Energy,2013. 27. S. Yadav and J. L. Bhagoria, “A numerical investigation of turbulent flows through an artificially roughened solar air heater,” Numerical Heat Transfer A. In press. 28. R. Kamali and A.R. Binesh, “ The importance of rib shape effects on local heat transfer and flow friction characteristics of square ducts with ribbed internal surfaces.” Journal of International communications in heat and mass transfer 35(2008) 1032-1040. 29. R. L. Webb and E. R. G. Eckert, “Application of rough surfaces to heat exchanger design,” International Journal of Heat and MassTransfer,vol.15,no.9,pp.1647–1658,1972.W. H. McAdams, Heat Transmission, McGraw-Hill, NewYork. Abstract: In order to support the presidential instruction No. 6 of 2009 on the development of the creative economy in 2009-2015, the city government to make-culture and technology as a basis for the development of creative economy. Jakarta, especially in districts kemayoran creative industries are not developed, could be called as a beginner. In an effort to support the president's instructions and help the city government to achieve its goals it is Necessary for the development of creative industries beginners so that the creative industry has a competitive edge. A method to be used in achieving the objectives of this research is to use the SWOT analysis and the strategy canvas. Where the steps in this SWOT analysis is to provide questionnaires to the Creative Industries Beginners. The contents of this questionnaire include Strengths, weaknesses, opportunities and threats faced by the manager of the IKP over the years. Then the Data Obtained from the questionnaires was processed in the Matrix of Internal and External. Based matrix and SWOT matrix is made known to the quadrant position in order to obtain creative industries development strategy beginners. These strategies in the 9 blocks describe the strategy canvas. Created 4 step frameworks that are to Eliminate, increase of, Decrease and create to create new innovations. The results Obtained from this study is the strategy of diversification combined with a strategy canvas and blue ocean strategy in order to obtain results that IKP need to add new partners and optimize the old partners, need to create a new product innovations include service courses of make souvenirs, improve customer relationships, and reach by making the website. 11. ---------------------------- ,2012, Creative Economic Development In Order To Create Jobs And Alleviate Poverty In The Context Of National Security, Journal of Studies LEMHANAS RI 14.